On Sunday, before going to see Demi at the rodeo, I went to the Galleria with my cousin to make some returns. We went to Old Navy and Gilly Hicks. They had this shirt in a few colors. 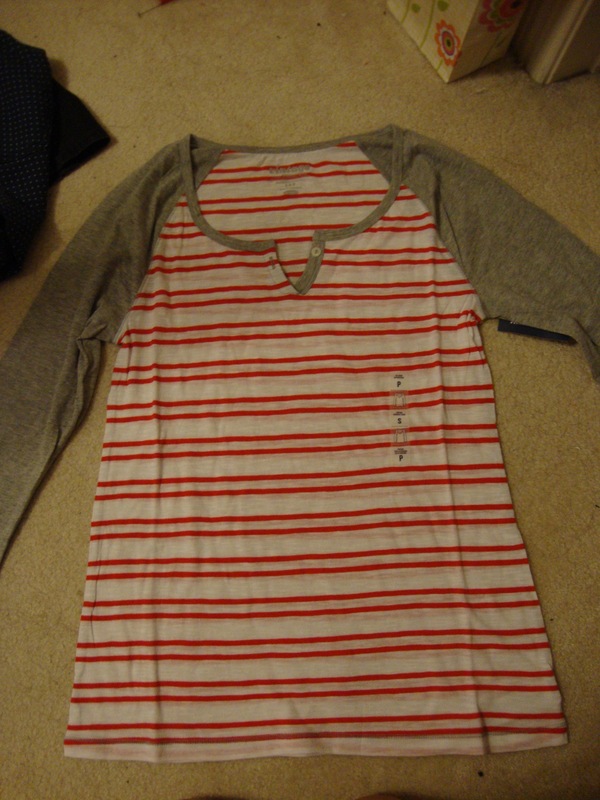 They had different sleeve and stripe color combos. They also had colored sleeves with plain bodies. 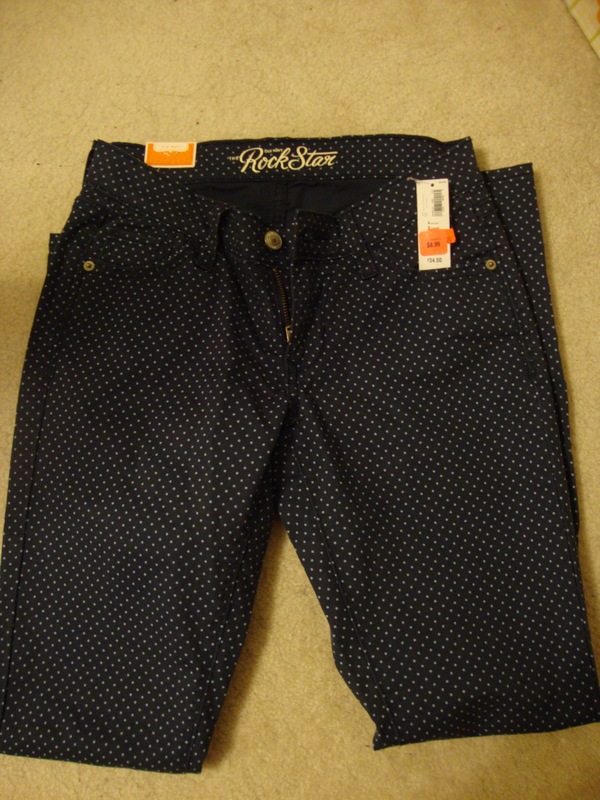 Polka Dot Rock Star Jeans on sale for $8.99! They were originally $34.50. I may return these. I’m not really sure. I got these in a 4 because that was the only size they have, but I normally wear a 2. They are kinda baggy around my knees. Who know? Maybe I’ll cut them. 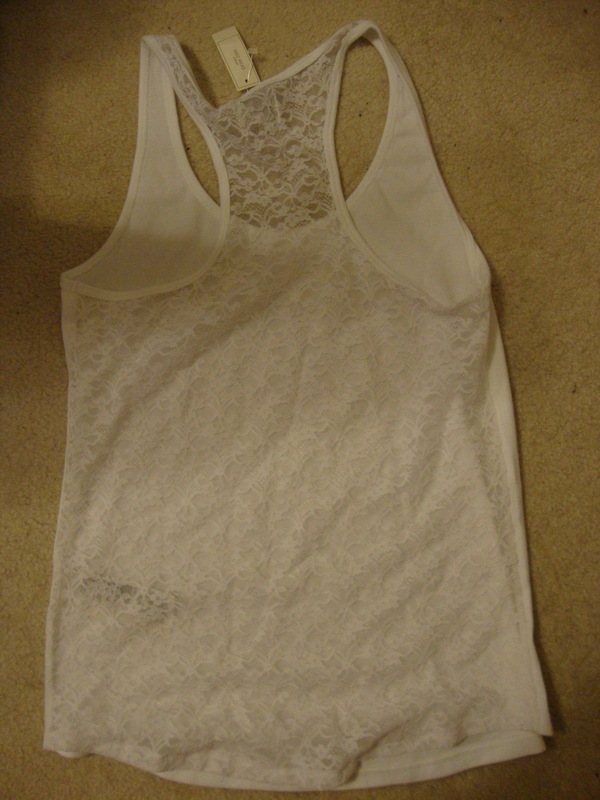 Next, I returned 2 items and then picked up a few more from Gilly Hicks. They also had a sale and I also had a 20% off coupon and tons of store credit. These are also racerback. I got them in a medium so that I would still be able to wear a bra with them. They had these bralettes in a few colors. They had white, turquoise, navy, lavender and maybe neon green along with some others. They also had neon bralettes that were a different style. I might return these too. I like them, but I’m honestly not sure when I’d wear them. If anyone has any tips on how they would style these, let me know! I really like this sweater. It’s really oversized, so I got mine in a xs. At first I was worried because I thought that the bagginess would highlight how broad that I am and that I would look stupid, but it doesn’t look too bad. 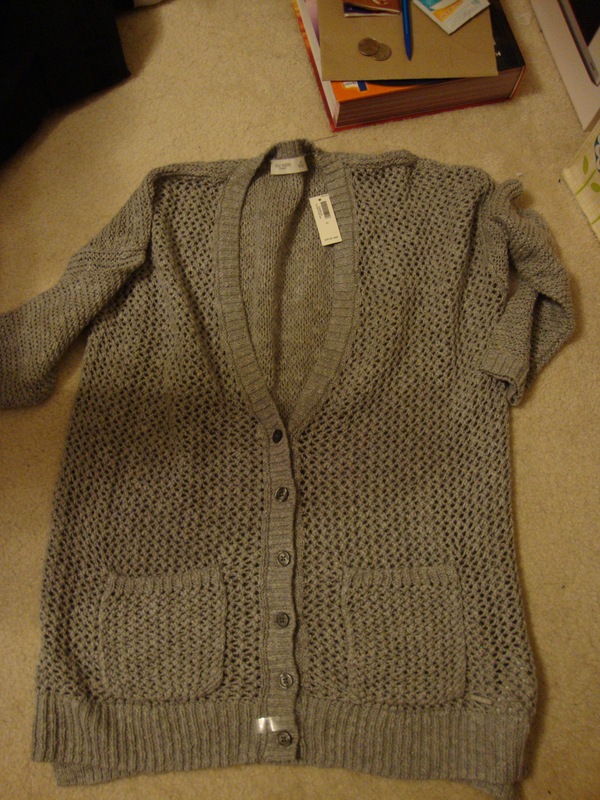 Also, since it’s knit, it has a bunch of holes in it, which I like. 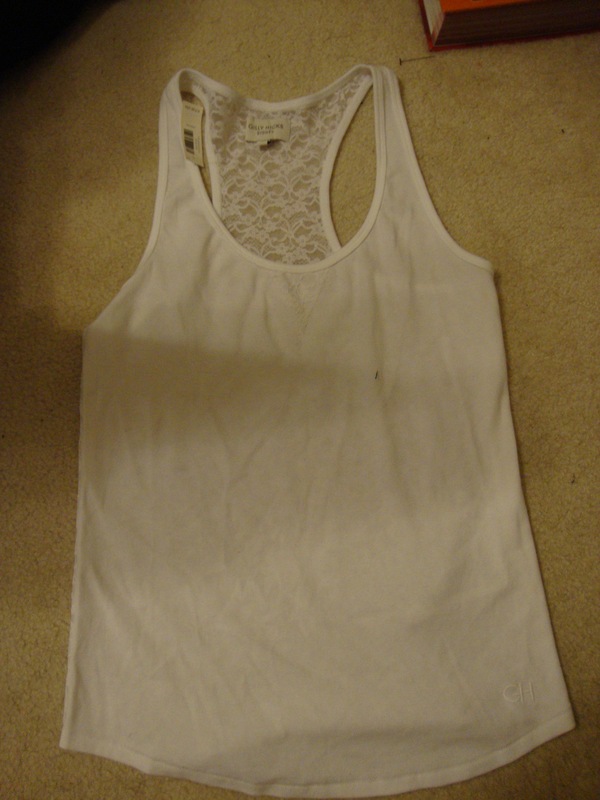 I’ll be able to wear this over tanks and shoulder bearing shirts at school so that I stay in “dress code” without having to worry about getting too hot. So that’s it for this post, nothing too exciting. For those of you that are out for spring break, I hope you enjoy your week off and for those no longer in school, I hope you enjoy the rest of your weekend! Since I have the week off, I’ll try to get 3-4 posts put out!